This is an article I had published in the Williamson County Master Gardener Newsletter several years ago. It was a very special one to me as it was obviously written for two very special people who touched my life in a very profound way. They were My Paternal Grandparents, Jim and Rose LaPaso. I dedicated this to them now, and always, as they are now Gardeners in heaven, yet they are with me in my Garden every day. I miss you and I love you so…. I cry each time I read this, both with sadness and with joy. 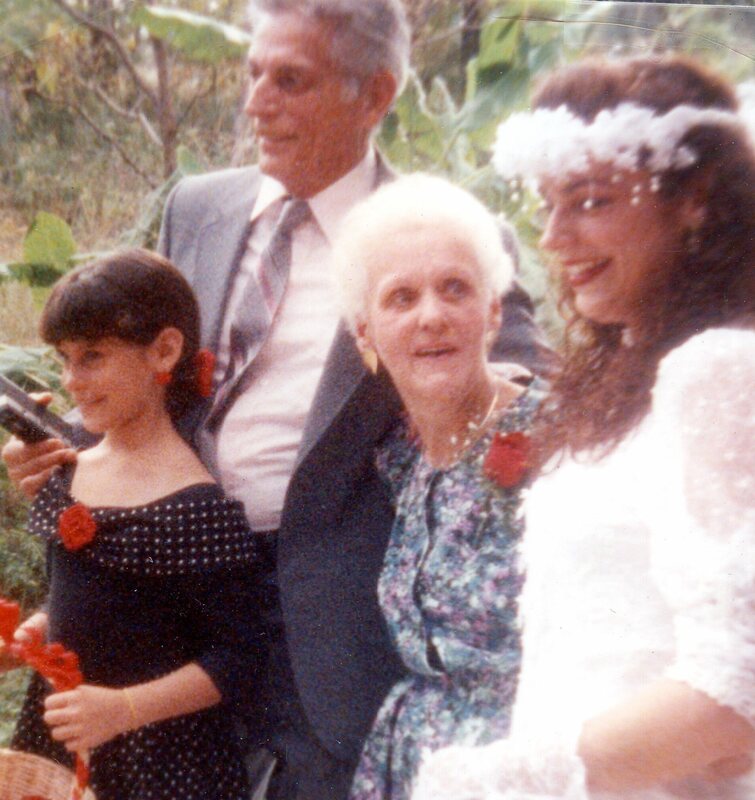 To my Beautiful Grandparents who accepted me for who I am. I have been a gardener from about the age of three. My earliest outdoor memories are of times spent with my grandfather in what seemed like an enormous vegetable garden that produced the most wondrous edibles in its rich and fertile soil. My grandfather was a second-generation Italian American who took great pride in his garden; he took his work there very seriously. I spent many weekends with my grandparents who lived along the Kankakee River and grew whatever was in season. That garden provided food, peacefulness,and purpose. Along the riverbank was a hill covered with the most glorious array of flowers, both wild and intentional. A Rose bed (my grandmother’s namesake) adorned the cottage home and the little paradise they carved themselves seemed a million miles from anything. In the early morning, my grandfather would take me to the vegetable garden to admire the progress the many vegetables had made from the day before. He labored carefully over every leaf and each row as though he had not seen them before. He would pick fresh goodies for dinner, letting me smell each picked morsel and rewarding my compliments with a taste. I still hear the sound the beans made when he snapped them. I still taste the beautiful red tomatoes I ate like apples. I still remember the way the soil felt in my hands and the look on Grandpa’s face when he caught my expression of joy in the garden. My grandmother would can for the winter months whatever we weren’t able to finish each season. The attention and love she put into each jar was palpable. Grandma and I would cut fresh peonies, zinnias, lilacs, and hollyhocks and make bouquets that would have pleased the gods. I was in my safest place in the garden. It was a spiritual experience being one with the earth and creating life in an ever-changing way. I had a sense of pride, a purpose, and a gift that has stayed with me my entire life. I have a passion for gardening that is greater with every season. The therapeutic tranquility and spiritual enlightenment one gets from being close to the Earth is overpowering. I am blessed for the privilege of doing for a living what I love the most. It would be my dream to have every living person appreciate the importance of what gardeners do and to realize it is a higher calling. We need to look out for the planet we live on. What better way to give back to each other? My grandparents live on in me and through all the other gardeners whose love of the Earth and all of its glories inspires us to create works of art and more beautiful places to live.